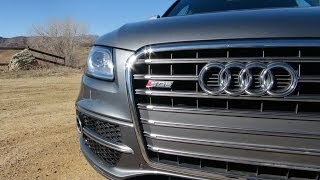 Audi will be unveiling the Audi SQ5 at the 2013 Detroit Auto Show. The new top-of-the-line model is specifically designed for the United States, Canada and China. 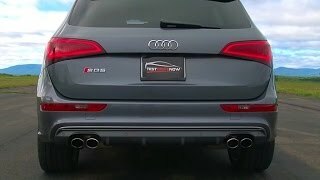 Power for the 2014 Audi SQ5 comes from a 3.0 TFSI supercharged V6 engine producing 260 kW (354 hp) and 470 Nm (346.65 lb-ft) of torque. It sprints from zero to 100 km/h (0-62 mph) in 5.3 seconds on its way to a top speed of 250 km/h (155 mph). 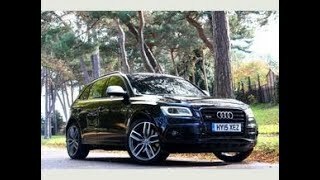 The Audi SQ5 consumes on average 8.5 liters of fuel per 100 km in the NEDC (21 US mpg). This equates to CO2 emissions of 199 grams per kilometer (320.26 g/m) in the NEDC. This dynamic SUV comes with an array of optional assistance and infotainment systems. MMI navigation plus and the Bluetooth online car phone provide the Internet services from Audi connect to the vehicle. 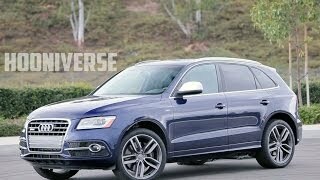 The SQ5 is scheduled to arrive at U.S. dealerships in the third quarter of 2013.